Do you wish to stay in a relaxing, peaceful accomodation? Do you want to have an appartment that is close to everything? Do you want to get the cheapest price? Would you like to have a nice, tasty breakfast as well? Would it be nice if the place felt like it was not only a hotel but your own home? Do you like interesting attractions? Then the best choice for you is Hotel Galéria! Room for one guest, with bathroom, television, internet and continental or warm breakfast. Room for two guests, bathroom, television, internet and continental or warm breakfast. Room for three guests, bathroom, television, internet and continental or warm breakfast. Apartment for two guests one bedroom with two single beds, bathroom with a tub, air condition, television, fridge, internet and continental or warm breakfast. Appartment for four guests, one bedroom with two single couch, livingroom, , bathroom with a tub, air condition, television, fridge, internet and continental or warm breakfast. 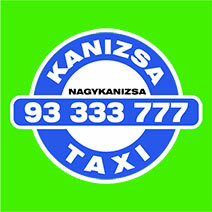 Our prices include VAT (ÁFA) but the tourist tax not. It has to be paid also in the Hotel, it is 300 Ft/1 EUR/person/day.